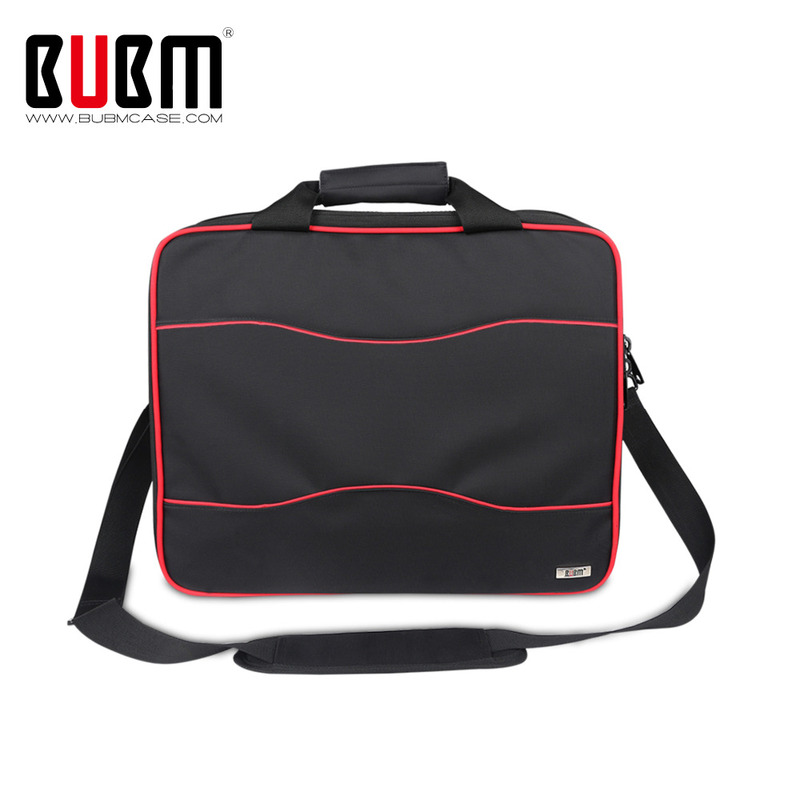 This Portable BUBM Bag is specially designed for XBOX ONE, which can systematically and steady organize the XBOX ONE game console and its accessories, every accessory has its own storage space, say goodbye to mess. Appearance beautiful and stylish. 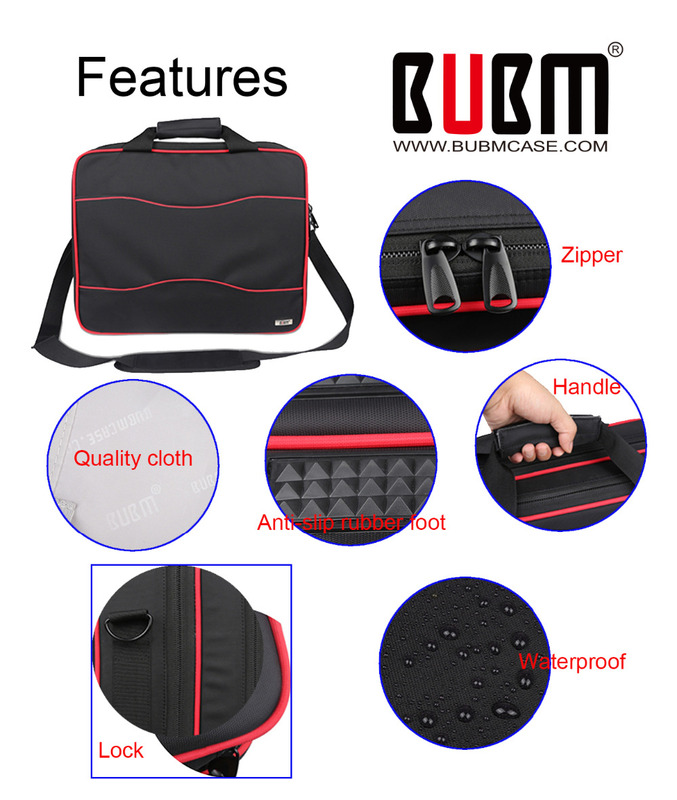 Made of superior quality and durable nylon fabric, waterproof and breathable, easy to clean. Sturdy and smooth two-way zipper closure. 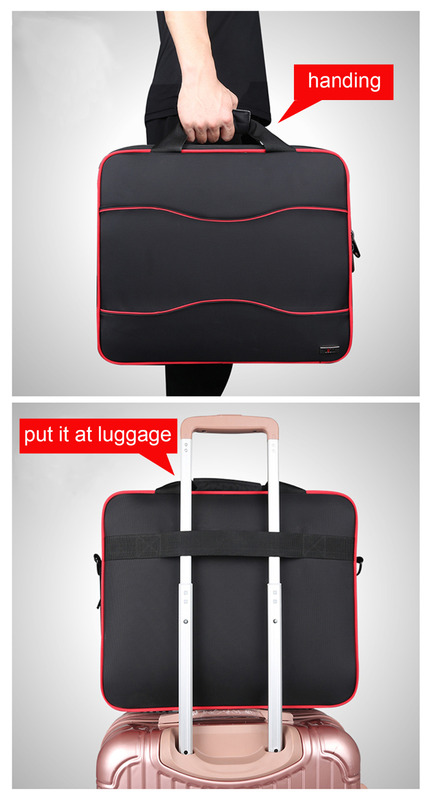 Well padded cushion interior will greatly reduce the external shock and protect your belongings from damage. Coming with a storage plate for 8 game discs, two adjustable detachable padded divider. 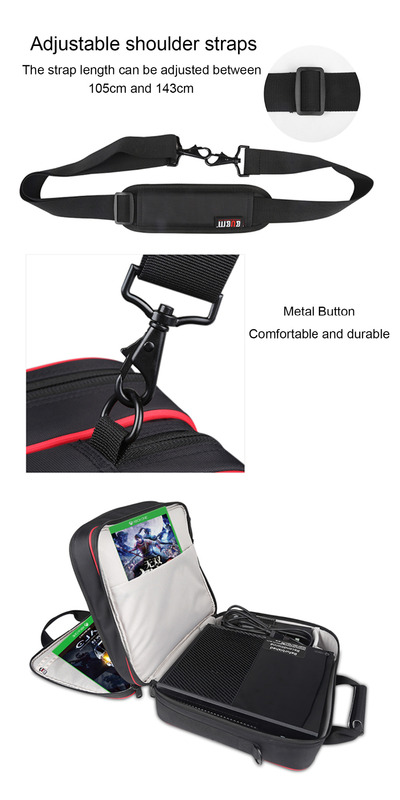 Coming with two zipper compartments, the first layer can perfectly store game controller, AC adapter cord, HDMI, or charging cables, etc.. The second layer specially for game console.